Corrupt files are serious problem to users and if there is a database file got corrupt, then it became a serious issues. Failure in database effect the whole organization and results in delay of work. Database files are the most important one as they store entire data of mails, contacts and need to be recovered soon. IBM Lotus Notes database files NSF are prone to get corrupt as they are large in size and may get virus or malware from any mail. It’s complicated structure is one of the major reasons of NSF file corruption. To repair NSF files and recover data we can use Fixup tool. Hardware failure like hard- drive not accessible or sudden power failure. Proper logging in: Enabling all the servers for transaction logging in Domino environment. Maintenance: Constant maintenance of server should be done to avoid data corruption. Database Update: If there is notification for a required update, then NSF database should be updated. Go to Domino Administrator and select Server which stores database. If Domino Administrator not runs on Server, select local to run Fixup on databases stored on client side. Go to Files tab and select the database which you want to repair. Select options and click OK. If the database is a System database (names.nsf, admin4.nsf) than close all the tasks related to it. While if you are using Fixup tool on Domino server, then stop the Domino server and run maintenance in Offline mode. Manual Method to repair NSF database is a tedious process and include risks. It takes time as firstly it scans the filke and then repair them. So to avoid this and efficiently repair Lotus Notes, you can use Stellar NSF Repair Tool. Its rich GUI makes it easy to use and smart engine repair and recover NSF files. You can also preview files and save recovered files to any directory you want. 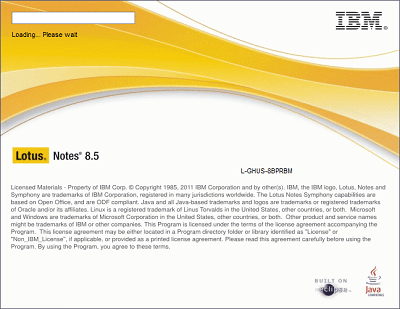 It supports all versions of IBM Lotus Notes 9.0.1, 9.0, 8.5, 8.0.2, 7.0, 6.5 and 6.0.